One of the most important commands to teach your dog is the come command. According to Pet365.co.uk, a survey of 1,000 pet owners revealed that 54.8% of surveyors believed recall or the “come” command was the most needed training tool. And 82.1% make sure that their dog comes when called. Not only is it a useful tool to walk your dog without a leash, but it is also a very important safety precaution. So, if you have ever been envious of the guy whose dog pleasantly walks by their side in public, training your dog to come is the answer to your desires. 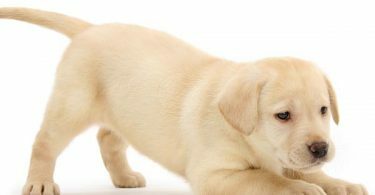 This article will show you how to overcome training dilemmas that will lead to a well-behaved, loyal pet. Why Should You Train Your Dog to Come? If you have ever watched as your dog was about to run into traffic or get too close to an aggressive dog in the park, then you know how essential it is for your dog to listen to you. Unfortunately, many dog owners either miss the opportunity to train their dog or improperly teach their dog. This leads to frustration both for the dog and the owner. This also poses a safety issue for your dog, other people, and their dogs. You never know if another dog will be friendly toward your pup, so having your dog listen to your precautions can save a trip to the vet when he gets bit by another dog. Some people might also be frightened of dogs so having your dog run up to anyone can be a nuisance. Finally, having a dog that comes when called makes walks on and off the leash much easier. You can be reassured that your dog will not wander too far. If you have a yard, fenced in or not, your dog can go to the bathroom without supervision. The ultimate goal is to build trust between you and your dog; your dog knows to listen and you know that they will listen. 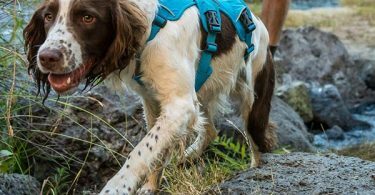 The first step to training your dog to come to you is to establish a strong relationship based on mutual trust, according to the American Kennel Club. This means that you should maintain positivity, be patient, and most importantly be prepared. Mentally prepare yourself by understanding that recall training takes the correct tools and methods to be successful. Then, look forward to the benefits of having a well-training dog; one of which is that it will allow you to be closer to your dog more than ever. Dogs respect their owners if they get the same respect in return. Some tools that you might need to begin are high-quality dog treats, a short and long leash, an open indoor space or fenced-in yard, and a second person. You also want to start training as soon as possible. Puppy training is the best way to promote good listening skills from the start, but it is ok if you adopt an older dog, just begin right away. 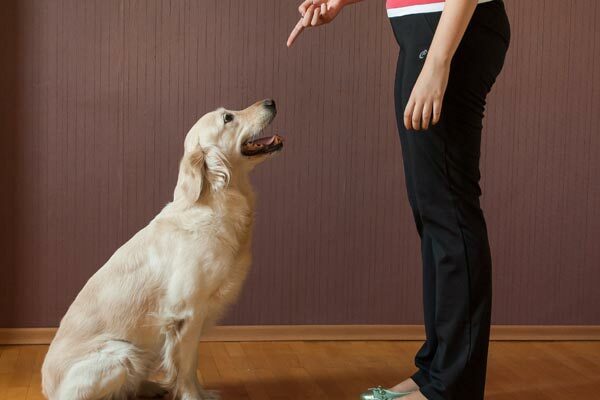 Your dog associates words, objects, and body movements with certain consequences. So, it is important to only use the word “come” when your dog is going to be rewarded. For example, use “come” for a walk or meal-time. For training purposes, you can use a treat, toys, or lots of energetic petting and praise. Never use the command if you are about to scold your dog or give him a bath. This will ruin the command for when you truly need it. Instead, use a different word or simply retrieve your dog by the collar to make them follow you. Do not try to let your dog off leash at a dog park and expect them to start listening to you without prior training. Begin your training in a small space that your dog is comfortable in like your living room. Use the leash to teach your dog the proper action. Use the short leash to get the dog’s attention. Say “come” and slowly move back to the length of the leash. Reward your dog once they come to you. If your dog gets distracted or moves in another direction then gently tug on the leash to bring their gaze back to you. This will also help during walks to avoid pulling and choking. Your dog will eventually know to follow you with or without a leash. Once your dog gets used to the command indoors, then you can move to a larger space outdoors. This will provide new challenges as distractions increase. The Human Society recommends using a long leash as well as another person to keep your dog in place before you say the command. As your assistant holds your dog, encourage them with a treat or praise then move back while holding the long leash. When your dog comes toward you, reward them with the treat or lots of love. Slowly increase the distance that your dog must go to reach you. To make sure your dog comes even when you don’t have a treat, release them back to their previous activity. This ensures that they know coming to you will not result in a loss of freedom. The ultimate reward comes when both the owner and their dog are happy and satisfied. To make sure your dog is used to many types of surroundings. Do not expect them to react the same in an empty field and a crowded dog park. Always use the long leash until you feel confident that your dog will listen to you no matter what distracts them. You can test them in different environments to see what new distractions emerge. Also, you the leash first before letting them wonder. Having the leash attached to their collar helps if you need to quickly catch them. By making a list of your dog’s most common distractions you can either help your dog overcome them or in the worst case, try to avoid them. You will be able to dodge a disaster when in public if you can spot a distraction before your dog does. This command can be fun for playing fetch or to show your friends how well-behaved your pet is, but there are serious reasons for training your dog to come on command. If the environment is threatening to your dog it will be easy to catch them and retreat. Using the “gotcha” collar grab after the “come” command is helpful in such situations. If they become used to being held by the collar then it is less likely that they will try to pull away or squirm. This also comes in handy if your dog runs away, and you need to carry them back home. Never use their name when using the “come” command since we often use it for many other reasons like scolding. Only use the word “come” when it can be enforced or if you know they will come. Otherwise, the command will not be effective. Using low-quality dog treats may not be enough to get your dog interested. Use unique, tasty treats that will entice your dog to come in the beginning. Do not use the “come” command for negative activities like baths, nail cutting, scolding, or vet visits. Wait for your dog to come all the way to you. Rewarding too early will make them think halfway is ok while rewarding too late will remove the recall from their memory. What Should You Do if Your Dog Will not listen? If you started training too late, have an older dog already set in their ways, or made of one or more of the mistakes above, then your dog might not be willing to come to you so easily. Your dog does not trust you due to past experiences. They may have trust issues either with a previous owner or with something you have done in the past. Slowly increase your dog’s confidence to convince him that coming to you will result in rewards, not punishments. Hold off on any scolding or things that he does not enjoy. Then shower him with love and treats. Test his trust by grabbing his collar to gauge his reaction. A trusting dog won’t try to run. Some dogs may be lazy or not understand the benefits of listening to the “come” command. The dog may be old or large, so they do not want to move unless it is worth it. Don’t give up on your dog just because they seem uninterested. Show him food in their dish or their lease and make some noise to get their attention. Only give them their dinner or take them for a walk if they listen to your command. This may take some time and patience, but do not give up. Some dogs have behavioral issues that come from built-up energy or habits that have existed from past experiences. They view their owners as party poopers, so coming to them means the fun is over. And these dogs love to have fun. Show your dog that you are not only the boss but a friend too. Use playtime as a way to train your dog without it feeling like a punishment or work for your dog. 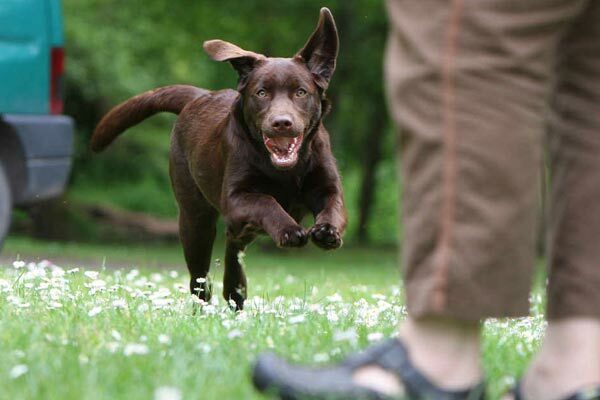 Start simple without using commands to make your dog understand that you are here to have fun. There are many helpful videos online that show you how to get your dog properly trained. This YouTube video focuses on training a reliable dog that can go with you anywhere off leash by building trust between you and your dog. The video has a golden rule of positive reinforcement for getting your dog’s attention. It also has some examples of when to say “come” and how to train your dog outdoors with a long leash. You can use this video to see the proper way to call your dog to come as well as some of the do’s and do not’s discussed in this article. Having your dog walk by your side makes life a whole lot easier for walks, travel, and encounters. But, the most important factor to consider when training your dog is safe. A well-trained dog is less likely to get aggressive or wonder somewhere he doesn’t belong. After building confidence in yourself and your dog, there is also less of a chance that your dog will run away without you by their side. They will understand that you are their friend as well as heir owner. They trust that you will keep them safe so there is no reason to leave your presence.